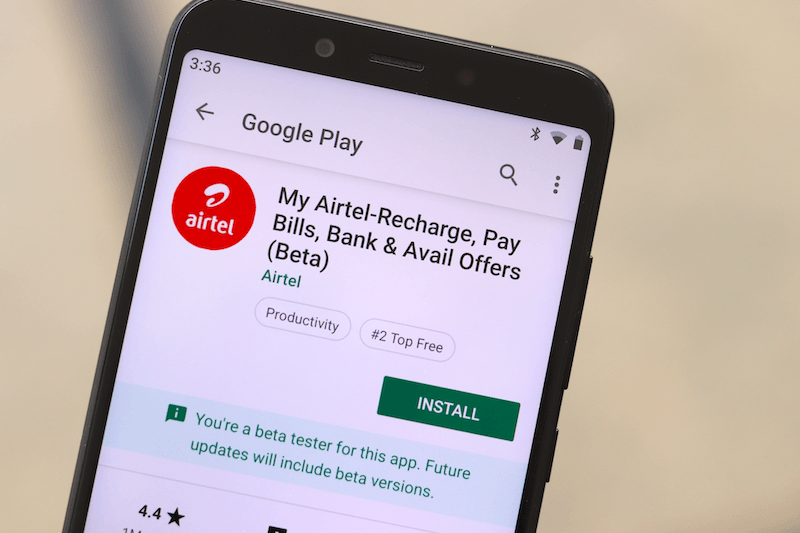 In a bid to take on the competition, Bharti Airtel has introduced a Rs 998 prepaid recharge with validity for 336 days. The new plan from Airtel has been launched alongside the Rs 597 prepaid recharge that offers benefits for a period of 168 days. The two new long-validity prepaid plans will be very useful for the Airtel customers who’re tired of recharging every month after the introduction of the minimum recharge scheme from Airtel. Notably, Vodafone Idea did not launch any Rs 597 and Rs 998 prepaid recharges, so Airtel will stay ahead of the newly formed telco in the long-validity plans department. It’s already a known fact that Airtel has launched a yearly prepaid plan of Rs 1,699 with benefits of 1GB data per day, unlimited voice calls and 100 SMS per day for 365 days. The Rs 998 prepaid plan comes with 12GB data benefit, 300 SMSes per month and unlimited calling without any FUP limit. Firstly, let’s take a look at the benefits offered by Airtel’s Rs 998 prepaid plan. The plan comes with unlimited local, STD and national roaming calls within India without any FUP. It also ships with 12GB of data for the entire validity period. Customers recharging with this prepaid plan will also get 300 SMSes every month and the SMS benefit will be renewed for every 28 days. This plan from Airtel is valid for 336 days from the date of recharge. Moving onto the Rs 597 prepaid plan, Airtel used to offer this plan earlier as well, but it removed after the competition intensified in the industry. Now, it brought back the plan to take on state-run telecom operator Bharat Sanchar Nigam Limited (BSNL). It offers a user unlimited voice calling across the country without any FUP limit, 6GB of data for the entire validity period and 300 SMSes every month. The plan comes with a validity of 168 days from the date of recharge. Airtel users will also get access to Airtel TV app which is the company’s Live TV and content application. Just a few days ago, we reported Airtel’s introduction of Rs 1,699 yearly prepaid plan. Airtel introduced this Rs 1,699 prepaid plan to take on Jio’s Rs 1,699 recharge and Vodafone Idea’s Rs 1,699 plan. This annual plan from Airtel comes with 1GB daily data benefit, unlimited voice calling without any FUP limit and 100 SMS per day for a period of 365 days. Notably, Airtel prepaid users recharging with this plan will also get free access to Airtel TV application. In contrast, Reliance Jio is providing much better data benefit of 1.5GB data per day with its Rs 1,699 prepaid plan, while BSNL’s plan is currently shipping with 4.21GB data per day. Vodafone Idea, on the other hand, is also providing 1GB data per day like Airtel with the Rs 1,699 yearly plan. Earlier, Vodafone Idea offered similar benefits with the Rs 1,499 prepaid plan. Clearly, Jio and BSNL are offering better yearly plans compared to what Airtel and Vodafone Idea are offering, but these plans from incumbents will attract a lot of users, especially in the current scenario where consumers are forced to recharge every 28 days. This Fraudtel is the nemises of Indian telecom, which always leads the cartel with unethical and immoral policies. Most of us are ready to.pay a ‘slight premium’ to Airtel ‘if it has’ ‘superior 4G network coverage than Jio’ but not at the cost of ‘significant loot’ and unethical anti-consumer policies! Do you have a better scheme to match that? Please share, if so! >> This Fraudtel is the nemises of Indian telecom, which always leads the cartel with unethical and immoral policies. Sysy : Dare to post the completed speed test (after gets finished) instead of just taking the screenshot during the sudden spike?. Savaal aa?.